Introducing the Gatsby mirrored clock, made from mirrored lass and MDF this is the perfect statement piece for your home. 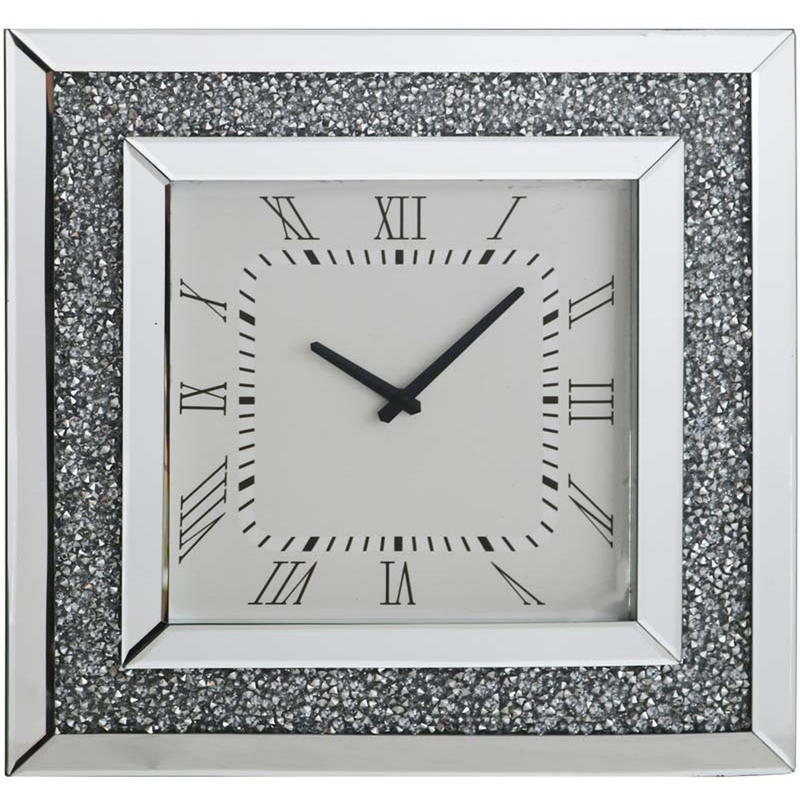 With diamond like crystals in in the frame, this clock will bring glamour to your home, while keeping it simple with the classic glass around the edges. This contemporary clock would look stunning in any room and bring life to your home.